South Africa’s agricultural sector contributed more than R80 billion to the country’s GDP while the value of its production was approximately R273 billion in 2016/17. Even without factoring in the indirect role it plays in growing the economy, the industry is a significant one. It has therefore become imperative to leverage the likes of enterprise resource planning (ERP) to integrate technological innovation for improved efficiencies and reduced costs. In the connected society where digital has permeated every facet of people’s lives, the potential for agriculture is significant. The concept of Smart Farming is increasingly used to describe how technology is adopted to increase the quantity and quality of farming products. For example, by being able to precisely measure variations within a field and adopt the strategy accordingly, farmers can increase the effectiveness of pesticides and fertilisers. But even though Smart Farming talks to the level of technology integration, it is much more than that. It enables the development of a more agile sector that has the software and systems in place to pull meaningful data. Data has long been likened to be the equivalent of oil in the digital age. For farmers, the ability to capture, analyse, and gain insights from it in as real-time a manner as possible, can be the difference between success and failure. Whether it is agriculture or mining, healthcare or education, big business or start-up growth, data is the lifeblood of any organisation. Certainly, the entry points and how it is collected might differ, but fundamentally, no entity can survive without having data at its disposal. The emergence of the Internet of Things (IoT), artificial intelligence (AI), and the like are representing a significant shift in the inherent data collection and management processes of a business. Although some might think that local farmers do not need any of this, the reality is quite different. Take the water situation in the country as an example. It can take up to 15 000 litres of water to bring one kilogram of beef to market, more than 3 000 litres for a kilogram of rice, and 140 litres for just one cup of coffee. Now imagine being able to use IoT technology (connected devices) to more effectively manage the use of water, fertilisers, and pesticides thanks to real-time monitoring. This can be done through the assistance of sensors (measuring everything from light, humidity, temperature, soil moisture, and so on) that can automate the irrigation system and manage it accordingly. So, even though farming is no stranger to technology, this more precise (and smarter) way of doing things, is going to be essential for survival. This is not only due to environmental issues but business ones as well. The cost of not optimising resources is simply too significant to ignore. This points to a significant change in thinking of existing systems and processes to capture and manage data. All the technology innovation in the world means very little if it is not accurately managed with data linked to all the necessary systems and components. This is where ERP has an essential role to play. It is a critical link to the data, the systems and processes, and the insights that can be derived for farmers and others in the agricultural sector to optimise their way of doing things. Think of it as the means to get an integrated overview, through a dashboard, of all the vital elements in the agricultural value chain. And, unlike legacy systems, ERP today can be cloud-based and available on any device from any location, making it the ideal mobile platform for farmers to access intelligent data while out in the field. 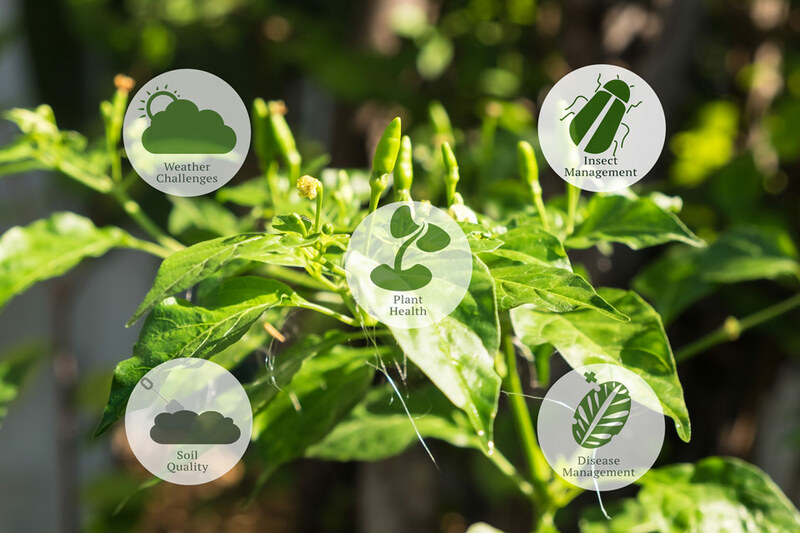 Furthermore, the insights gained from ERP can enable the farm (or related business) to respond more organically to environmental challenges, adjust the systems accordingly, and grow into more cost-efficient businesses. However, ERP is more than just a once-off solution. It should be viewed as a long-term strategic approach that provides the foundation for the Smart Farm of the future.